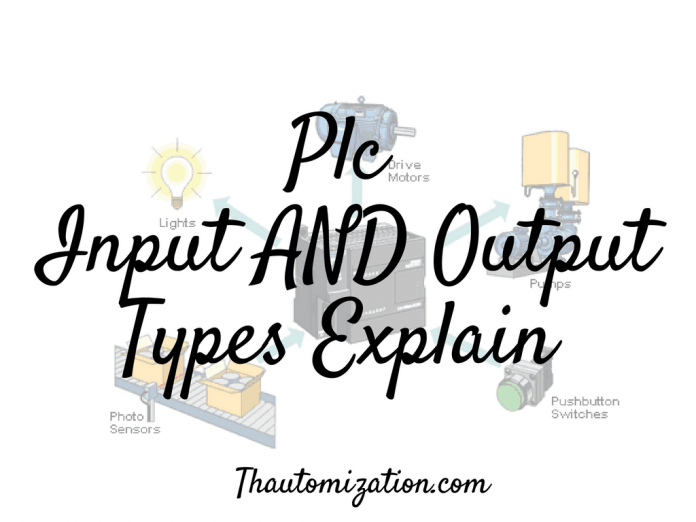 This is required to appropriately select the sensors, actuators as well as the input and output modules of the PLC in the project. 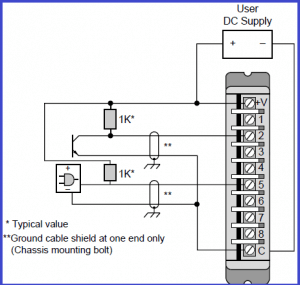 Consider the circuit diagram shown here. 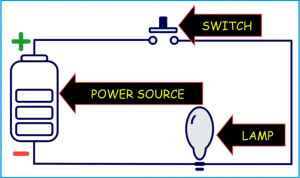 We can see a power source and a switch and a lamp in series with it. 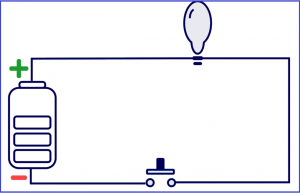 When the switch is closed, current flows through the circuit and the lamp turns on. As we can observe, the current first enters the switch and then the lamp. 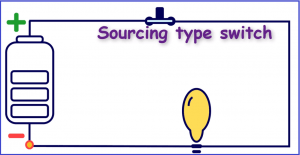 Here switch is sourcing type. Now let us modify this circuit a bit. Let us first connect the lamp to the power source and then connect the switch in series. In this circuit, when we close the switch, the lamp turns on. However, here the current first enters the lamp and then the switch. 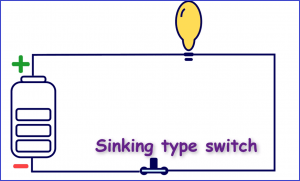 Here the switch acts as sinking type, as the current sinks in the switch. 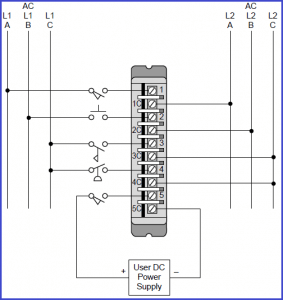 Isolated input interfaces operate like standard AC/DC modules except that each input has a separate return, or common, line. Transistor-transistor logic (TTL) input interfaces allow controllers to accept signals from TTL-compatible devices, such as solid-state controls and sensing instruments. •Multibit register/BCD input modules enhance input interfacing methods with the programmable controller through the use of standard thumbwheel switches. 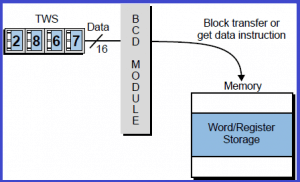 •This register, or BCD, the configuration allows groups of bits to be input as a unit to accommodate devices requiring that bits be in parallel form. Thanks sir. 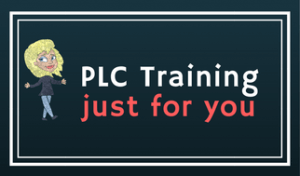 Your good tech support for new PLC learner. Pl advice how can make program for plc for our machine.